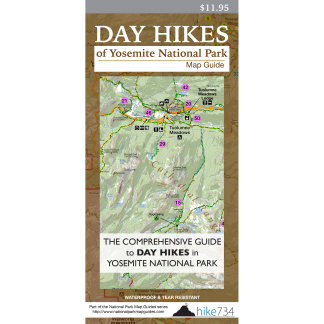 This short hike switchbacks up the Pohono Trail above the Wawona Tunnel to picturesque views of Yosemite Valley. 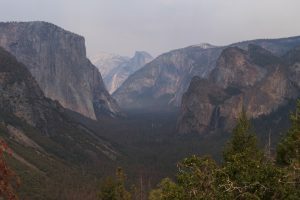 The trail immediately begins to switchback as soon as you leave the crowds that gather at the Tunnel View. Initial views get obscured as you travel through a wonderful forest. You’ll bounce between the forest and shrubs, cross over the old road, and continue the switchbacks until you reach the old parking area. Travelers long ago could drive to this point, but now it’s reserved for those willing to make the climb up. Follow the trail out to the point for wonderful views before returning back down. For a longer day, continue climbing up the Pohono Trail to many fantastic vantages along the rim (see Pohono Trail). Trailhead: Park in the parking lot at the east end of the Wawona Tunnel. Look for the trailhead on the edge of the parking lot on the south side of the road.